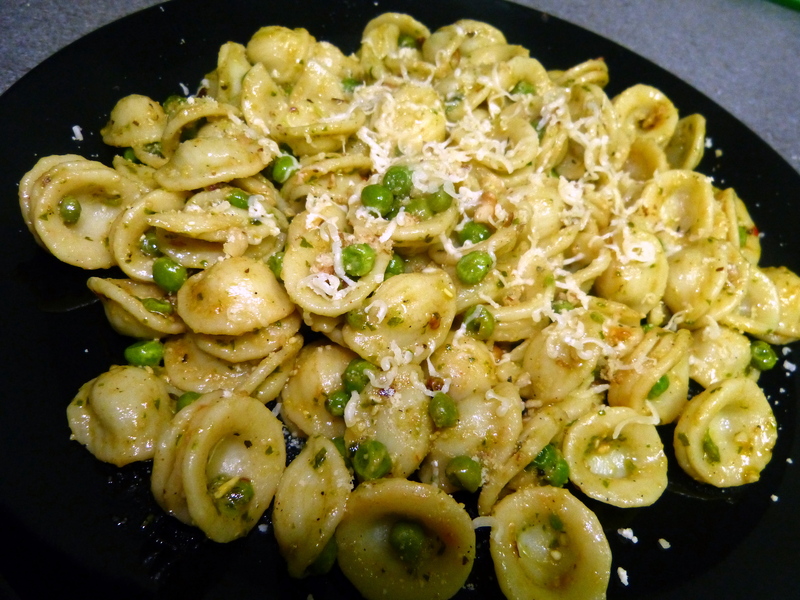 Orecchiette is one of the most popular shapes of pasta from Southern Italy, especially the Puglia region. Traditionally paired with Greens (di rapa) or Peas, it tastes delicious with a combination of Basil Pesto & Sundried Tomatoes. One of the tastiest sauces I have made in a long time, one of the fun things about this is how adding walnuts at the time of sauteing adds so much crush & fragrant flavour! Boil the Pasta in lots of salted water till it is Al Dentè, drain but retain 1 Tbsp of the salted water. Around 3-4 minutes before pasta is done, in a nonstick pan, add Olive Oil and saute Garlic & 3/4th crushed Walnut for a minute or so. Add Chilli Flakes, Dried Basil & Petite Peas and saute for a couple of minutes. Take the mixture off the heat. Add Paprika, Pepper powder and Sundried Tomatoes. Mix well and stir in the Basil Pesto sauce along with the retained 1 Tbsp salted water. Mix the pasta with sauce & Tomato Ketchup. Add in salt to taste.